NEW YORK, NY – June 11, 2018 – Jobganic.com, the leading niche job and recruitment site for the organic & eco-conscious community has announced a special recruitment offer to organic farms. 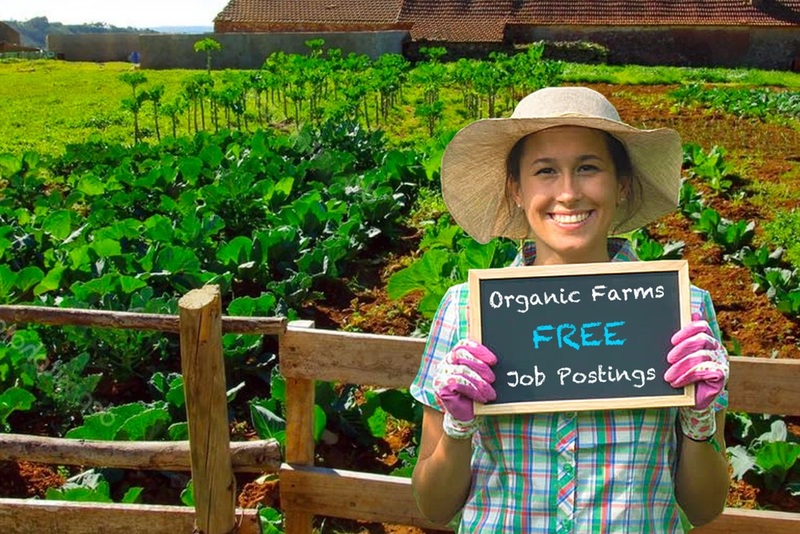 Jobganic is offering organic farms the ability to post their job opportunities for free. Large nationally-recognized farms as well as small, local, and family-owned farms can benefit from this opportunity. At Jobganic.com, organic farms are able to post unlimited job opportunities. Organic farm jobs include all levels and functions from the office to the field – full-time, part-time, volunteer and internship opportunities. Whether a farm is seeking an experienced individual for a senior management role, a specialized farm hand or a delivery driver, Jobganic welcomes all postings. This opportunity also has the advantage that it gives farms, especially local and rural farms, significant marketing exposure to a passionate audience of organic consumers and advocates. As job seekers they will inevitably browse Jobganic and discover organic brands that they may have never heard of before. Jobganic provides relevant jobs that are curated by Jobganic or posted directly by companies in the organic & eco-friendly industries. Job opportunities range across various markets such as food, personal care & beauty, baby care, pregnancy, health & wellness, clothing & accessories, household & cleaning, furniture & home goods, organic farming, environmental & green, as well as renewables & sustainables. Many of these markets are changing and being disrupted as new companies introduce eco-friendly product alternatives for consumers, whether it is organic foods, baby care, organic clothing or eco-friendly & non-toxic beauty and skincare products. You can follow @Jobganic on Facebook, Twitter, Instagram, Google+, and LinkedIn to stay informed about new developments.